Study Hawai‘i is proud to partner with the following organizations that provide services to international students and help us promote international education in Hawai‘i! Globally Connected Education (GCE) is a global education-focused program that connects qualified students from Asia, Southeast Asia and Australia with excellent private college preparatory schools in Honolulu, Hawaii USA. GCE is a division of Olomana Loomis ISC. GCE believes that developing a global perspective in students is of vital importance in our rapidly changing, technologically-driven, interconnected world. Creating global citizens who respect diverse points of view and come together to create solutions to common problems can and will make the world a better place for us all. GCE has knowledge and experience in the education sector and a global network of partners to assist interested international families in sending their children to school in Hawai‘i. Pan-Pacific Enterprises Group is the first company to create the professional travel service for Chinese Professionals and Business People. Established Excellent partnership with most major Chinese Travel Agents. Gained high reputation of excellent services in North America and Hawai‘i. Recent years, has work with educational institute to help develop Hawai‘i Science Camp and ESL Camp. Headquartered in Waikiki, Hawai‘i and offices in Beijing and Shanghai. Able to provide assistance for Visa application, interview training. Arrange air tickets, train tickets and land transportation for any point of China to USA. Have competitive contract rate of Hawai‘i local activities. Provide transportation in all islands of Hawai‘i. Provide competitive rate for hotels in all island of Hawai‘i. For over 10 years, Hawaii Student Suites has specialized in offering students high quality off-campus housing options. We are a locally owned and operated company, and we have had the pleasure of serving students from all of Oahu’s major universities, colleges, trade schools, and ESL programs. Finding housing that is safe, centrally located, and has a reliable and responsive staff is one of the top priorities for students. Whether you’re moving across the island or across an ocean, our goal is to make sure that your Hawaiian experience is fun and stress free. We focus on fostering a safe environment where students of all backgrounds can feel comfortable focusing on their studies as well as expanding their social and cultural horizons. Student life programs and community events help to enrich the housing experience and encourage our residents to make life-long connections. Each of our student communities provide shared and private housing options that are fully furnished and all-inclusive. Each of our four properties offers something unique. Feel fancy by living in our newly renovated, high-end 19 floor high rise, Waikiki Vista. Meet lots of new people at our highly social four bedroom, two bath apartments, Kalo Terrace. Take a five minute stroll to the beach after a long day of classes by living in one of our studios at Beachwalk. Enjoy the cute, peaceful boutique style apartments that are only a ten minute walk from the Ala Moana Shopping Center at Pacific Villa. Students are able to experience the independence of living off campus while still being on properties with community policies and a caring staff to assist as needed. Hawaii Student Suites is large enough to serve you well, but we’re small enough to care. We hope you join the Hawaii Student Suites ‘ohana! For international students, by International students! 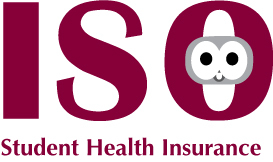 With over 20 years of experience in the health insurance industry, ISO has become one of the most distinguished insurance plan managers. Our plans are specifically tailored for the international student and scholar community. We have students from over 3800 universities and colleges throughout the U.S.
Hawaii Global Education Foundation (HGEF) was formed in 2016 to assist visiting students and professional groups from other countries, especially Japan, for their study tours in Hawaii. Since its establishment, HGEF has been helping international students discover broader, global perspectives and to improve their communication skills. HGEF is based in Honolulu, and its services extend to other islands and it provides planning services for the trip, and on-site coordination and language assistance for the group during their trip. We are specialized in customized study tours to fit to each group’s specific purpose by utilizing wide range of resources and network of schools, organizations, government offices, professionals, and businesses in Hawaii. We are able to assist in coordinating school visits, student exchange programs, homestay arrangements, technical visit arrangements, courtesy calls, and lectures. Our staff members are bilingual and have degrees from college in the United States or Australia. At Ware|Immigration, our immigration lawyers have been helping individuals and organizations obtain their immigration objectives since the firm’s founding as David Ware & Associates in 1982. With offices in the New Orleans and Baton Rouge metro areas of Louisiana, as well as in Florida, Mississippi, Seattle, Washington and Centennial, Colorado, we handle only immigration law matters, providing our clients with focused, efficient solutions. Since 1989, the International English Language Testing System (IELTS) has been used to help higher education institutions, governments, organizations, and professional bodies determine the English language proficiency of non-English speakers. Millions of IELTS tests are taken each year, providing secure, valid and reliable results. IELTS is trusted by more than 10,000 organizations worldwide. Tests are available up to four times per month in more than 140 countries, with over 1,200 testing locations worldwide. IELTS USA provides information and support to organizations that use IELTS to measure the English language proficiency of international applicants, and works with US stakeholders to increase the number of institutions and programs that use the test throughout the United States. IELTS is accepted by more than 3,000 US institutions.